Kala joined Watsi on December 1st, 2014. 25 other people also joined Watsi on that day! 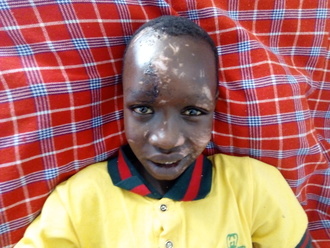 Kala's most recent donation traveled 8,700 miles to support Onesiforo, a boy from Tanzania, to fund burn repair surgery. Kala has funded healthcare for 51 patients in 12 countries. 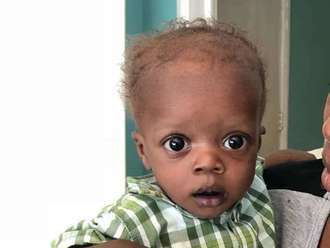 Mousanto is a baby from Haiti. He lives with his mother and father in Port-au-Prince, the capital of Haiti. He is their first child. Mousanto has a cardiac condition called abnormal origin of the right pulmonary artery. One of the two arteries that connects Mousanto's heart to his lungs is malformed and does not properly circulate blood. As a result, his body cannot obtain the oxygen it needs. In order to understand exactly what is wrong with the artery and how best to fix it, a diagnostic catheterization is required. To determine if Mousanto's condition is operable, he must undergo a diagnostic cardiac catheterization, a procedure that is not available in Haiti. During the procedure, a catheter probe will be inserted into his heart to perform the necessary measurements and tests. On August 21, he will travel to the Dominican Republic to receive the scan at our medical partner's care center, Clinica Corominas. Our medical partner, Haiti Cardiac Alliance, is asking for $1,500 to cover the costs of Mousanto's travel expenses, catheterization procedure, and lab work. His mother says, "We are very thankful to everyone who is helping our son become healthy." Saning’o is a boy from Tanzania. He is five years old and in nursery school. Saning’o lives with his parents and his relatives in eastern Tanzania. His parents are breeders who keep cattle. A few years ago, Saning’o was playing in the kitchen. He grabbed a piece of charcoal and burned his right palm and fingers. Although he visited a hospital and received treatment for the burns, he sustained contractures on his fingers. These are painful and restrict his ability to use his hand. Fortunately, our medical partner, African Mission Healthcare Foundation, is helping Saning’o receive treatment. On March 5, surgeons at their care center will perform a burn contracture release surgery. Now, his family needs help to fund this $608 procedure. “I will be very happy to see Saning’o get treated and continue with school," says his father. Aye is a 30-year-old woman from Thailand. She lives with her husband, and they work together in the same electricity factory. With her salary, she supports her parents, who live in Burma. For four months, Aye has been experiencing back pain and lower abdominal pain. She visited Mae Tao Clinic, our medical partner's care center, and had an ultrasound. She has been diagnosed with an ovarian cyst. 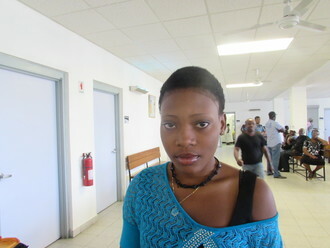 She has been advised to undergo an oophorectomy, a procedure in which surgeons will remove her ovaries. Fortunately, Aye is scheduled to undergo her oophorectomy on January 16. Our medical partner, Burma Children Medical Fund, is requesting $913 to cover the total cost of her procedure and care. Aye says, “I feel stressed because of my condition. I worry that I will not be able to work and get my full salary. If I don’t get my full salary, I cannot send money to my parents and they will not be able to survive." Beth is a small-scale farmer from Kenya. She has four children and works with her husband. Beth has been diagnosed with breast cancer. Without treatment, the cancer may spread to other organs. A mastectomy, a surgery to remove breast tissue, has been suggested to rid her body of breast cancer and to prevent the cancer from metastasizing. Our medical partner, African Mission Healthcare Foundation, is requesting $816 to cover the cost of a mastectomy for Beth. The procedure is scheduled to take place on February 5. After treatment, Beth will hopefully return to a cancer-free life. Beth says, “I wish I could be treated and no longer be in pain. Kindly help me." “Thank you so much for this help,” says Betterland. Betterland is a 60-year-old man who lives in Malawi with his wife, their children, and their large extended family. A devoted husband, Betterland’s favorite thing to do in his downtime is simply to sit and chat with his wife. Betterland normally supports his family by working as a small-scale farmer. But since June of this year, Betterland has been unable to farm due to pain associated with an enlarged prostate. Because he cannot work, Betterland has been worried about the family's finances—and paying for the treatment he needs is, unfortunately, not a possibility for them. But we can help. By raising $733, we can cover the cost of Betterland’s prostate resection surgery, scheduled for August 17. This fundraising total will also cover the expenses of Betterland’s 17-day hospital stay, medications, and roundtrip transportation to the hospital. 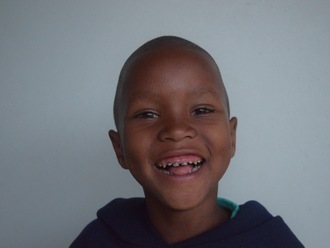 When Betterland and his family learned that he would be able to receive the operation he needs, they were very relieved. Betterland is excited that now he will have this painful problem fixed and he will soon be able to return to farming with his sons.